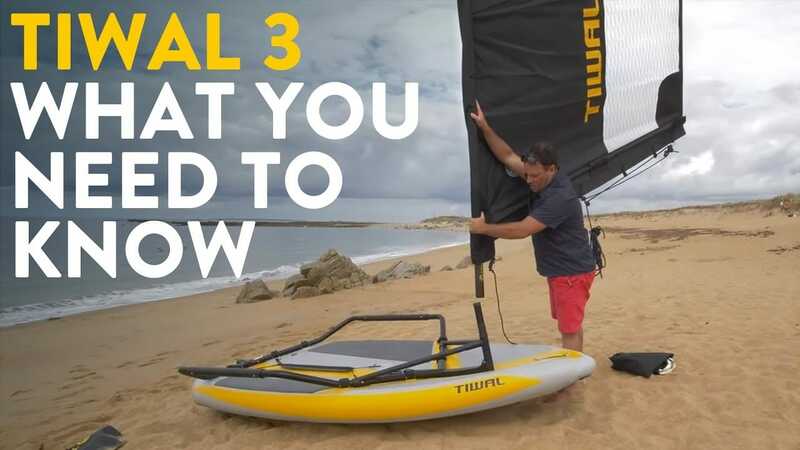 The Tiwal 3 small inflatable sailboat stows in the trunk of your car. It will take you on an ocean of nautical adventures. The weekend promises to be sunny and you’re dreaming of a trip on the water? 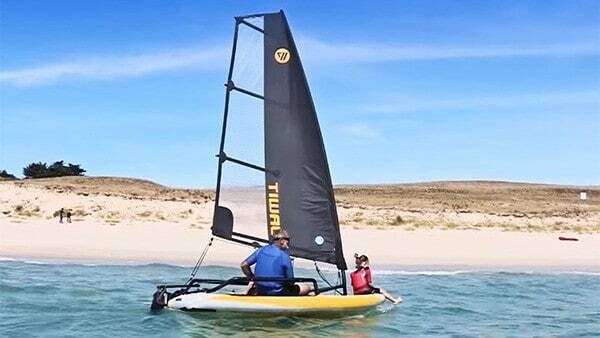 Are you vacationing by the sea and looking forward to tacking in that windy bay? 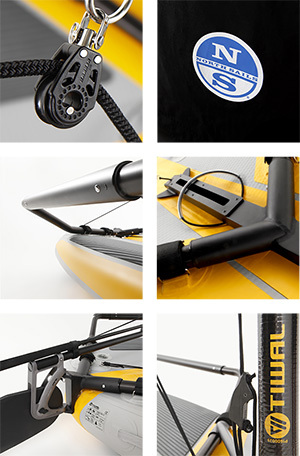 Your Tiwal 3 is in the trunk of your car, so it’s okay, we’ll get you out on the water! 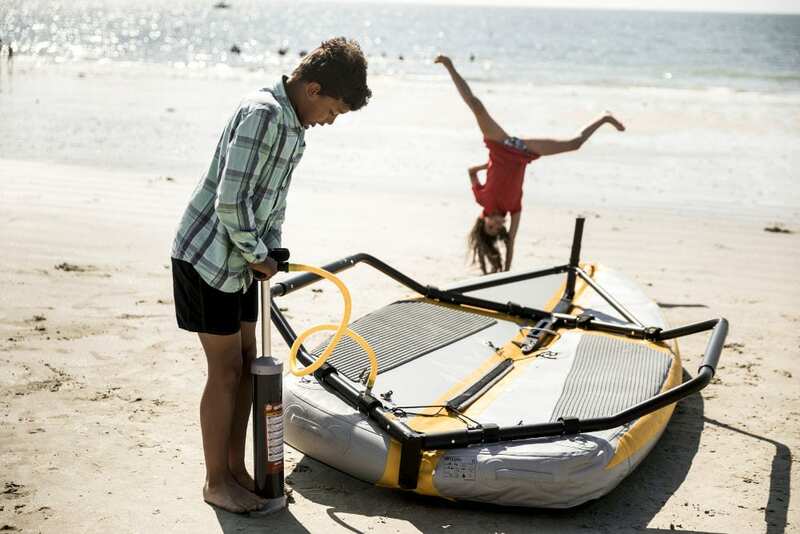 The Tiwal 3 is easy to handle and is designed for enjoyment, for children and adults alike. 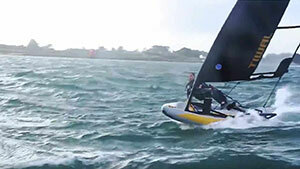 Versatile, and in its element in salt or fresh water and can be sailed in all windspeeds, by a solo sailor or double handed. Comfortable and secure for beginners, it is lively and fast monohull with more athletic sailors seeking sensations and adventure. 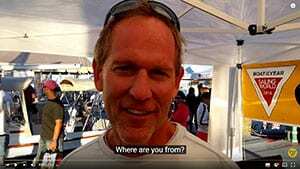 In the trunk of a car or camper van, on the plane, the deck of a yacht or towed behind a bike. 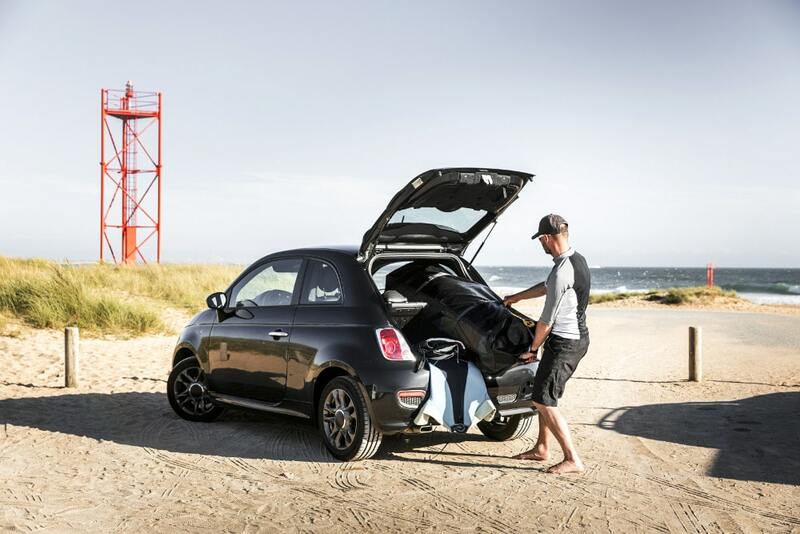 Stored in its 2 bags, you can take the ten and a half foot Tiwal 3 anywhere, without a trailer, for an evening trip after work or during your holidays! When not in use, it is discreet, can be tidied away in a closet or (small) corner of the garage. 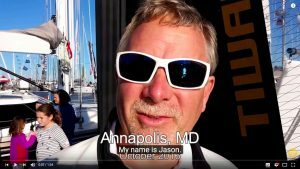 Do you love boating but the time it takes to get on the water makes you queasy? In 20 minutes, the Tiwal 3 can be assembled (and folded back down) alone, without tools or specialist knowledge, using clips and Velcro. Cherry on the cake: maintenance is simply occasional rinsing. Basically, a boat with no strings attached! 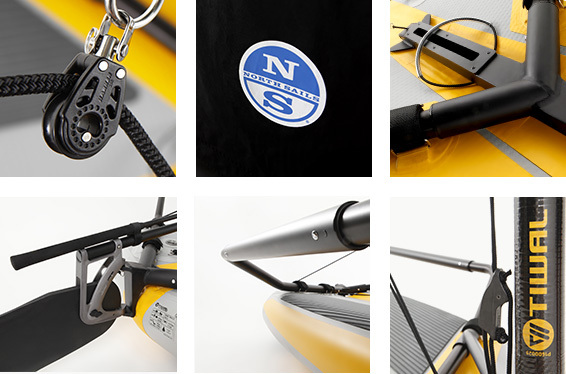 Cutting edge materials, a rig reduced to the absolute minimum and a good touch of daring! 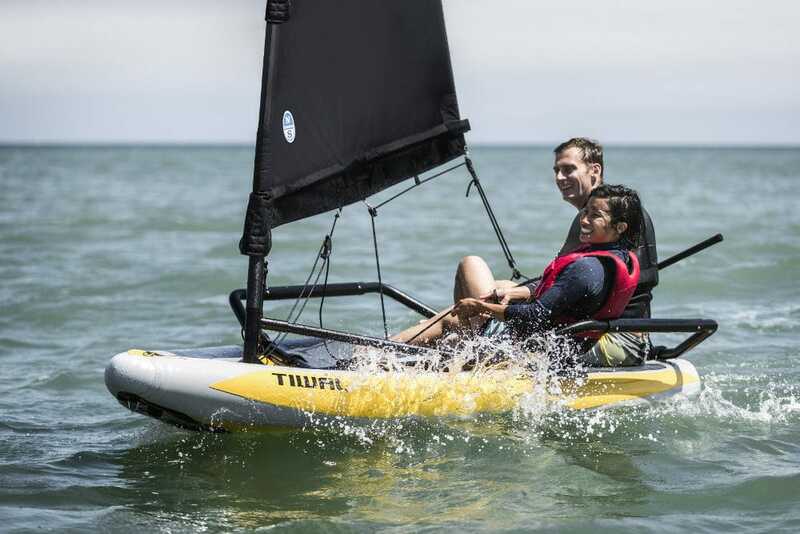 The Tiwal 3 small sailboat is a revolution in the world of dinghy sailing and is the result of serious engineering and realization. The frequently rewarded combination of an inflatable hull with an aluminum structure enables Tiwal 3 to have exceptional rigidity. 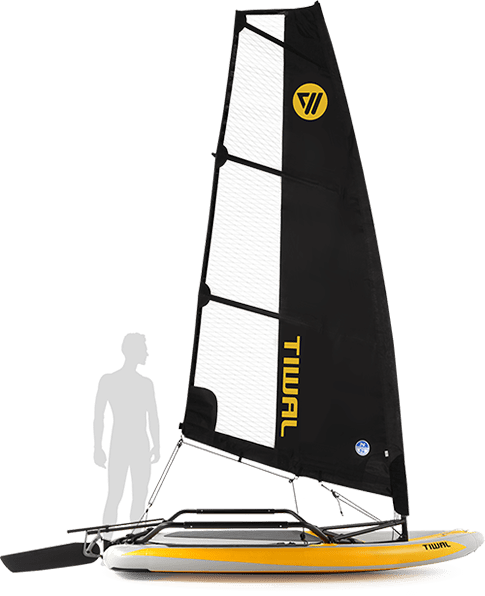 With over 900 boats sold, the Tiwal 3 is a tried and tested boat, made in France according to industry standards. Learn more about how it is made! The thing was a blast. I couldn’t believe how well it sailed. You could have some serious enjoyment with this, especially in big breeze.